Model Miranda Kerr shows co-host Sheryl Underwood how to do the signature Victoria's Secret walk wearing the iconic "Angel" wings on THE TALK, Monday, December 3, 2012 on the CBS Television Network. 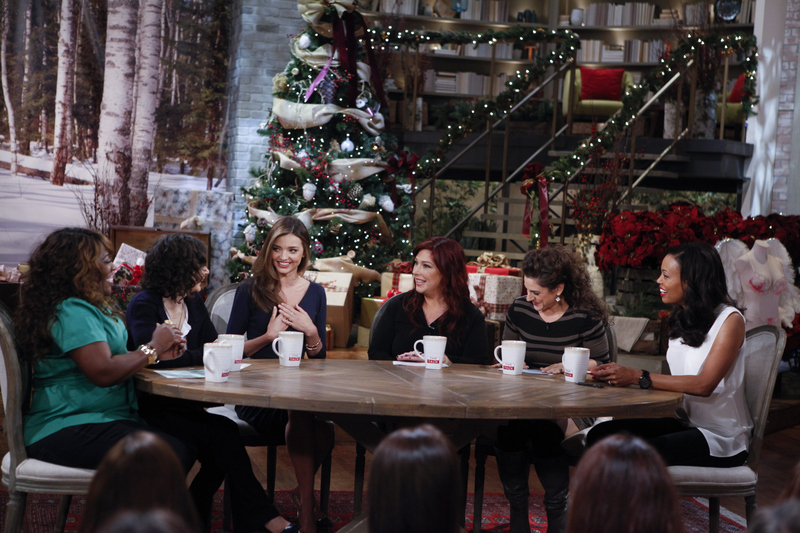 Sheryl Underwood, from left, Sara Gilbert, Miranda Kerr, Carnie Wilson, Jaret Winokur and Aisha Tyler, shown. Photo: Lisette M. Azar/CBS ©2012 CBS Broadcasting, Inc. All Rights Reserved.